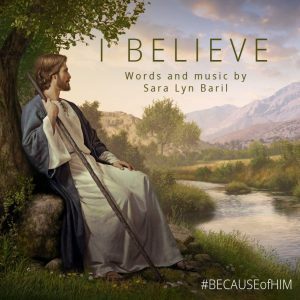 Latter-day Saint musician Sara Lyn Baril has created a beautiful Easter song “I Believe.” We can overcome all things #BECAUSEofHIM. Beautiful Christ-centered art by Simon Dewey. @ Simon Dewey 20148. Courtesy and permission: Altus Fine Art. Accompaniment produced by Greg Hansen. Recorded, mixed and mastered by Steven Lerud.